Local Raw Honey from the Treasure Coast of Florida! We are producers of raw honey, beeswax, pollen and natural honey products. Our raw honey is not heated, filtered or altered in any way. Our family only offers the best raw honey products available. Since ancient times man has prized honey as one of nature's miracles. We invite you to taste what the ancients thought to be a delightful aromatic treat. The only way to get this treat was to rob bee's nests in hollow trees or rock crevices. We have done the hard part for you. Enjoy some of our raw honey today. 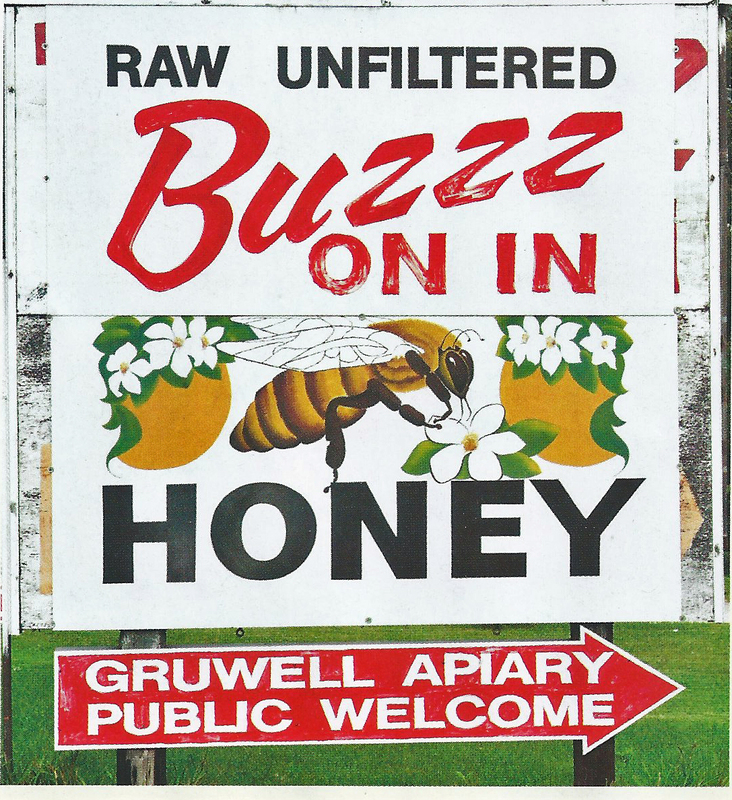 View an article about the Gruwell Apiary Family in the latest edition of the Fort Pierce Magazine. Located across from the Downtown Fort Pierce Library, along the waterfront, at Marina Square. Enjoy REAL Raw Honey directly from our Beehives. No Sugar Water - No Corn Syrup! Bees make honey from the nectar of flowers, which gives honey its delicious flavor. Our beehives are located in the four county area. The hive location and the seasonal bloom determines the taste of local raw honey. We do not alter our product in any way. Our Family takes pride in offering the best Raw Honey available. To produce one pound of honey, bees might travel as far as 40,000 miles and visit more than 2 million flowers. Our hives pollinate orange groves, ranches, woodlands and mangrove marshes throughout the Treasure Coast in St. Lucie, Martin, Indian River and Okeechobee counties. 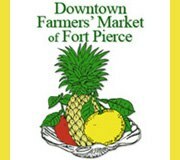 Come enjoy the extraordinary Downtown Fort Pierce Farmers' Market where there are over 70 friendly vendors that offer a wonderful and diverse selection of delicious foods, exotic plants, savory spices, and much much more! Bring the whole family and your pets out to the Downtown Fort Pierce Farmers' Market every Saturday rain or shine between 8am to noon. Come enjoy our special events and great bands. There is always great music, great food, and a great time waiting for you. Raw Honey from the Treasure Coast of Florida. As a carbohydrate, honey is a good supplier of energy at 64 calories per tablespoon. Honey contains small amounts of minerals, enzymes and traces of pollen. The carbohydrate is in the form of fructose (a form of sugar that the body uses to immediately convert to energy). Real raw honey will never spoil. However, you should tightly cover the honey because it loses aroma and flavor and absorbs moisture when exposed to air. Honey also darkens slowly after many months in storage, it is still good. Keep honey in a warm dry place (where you would keep salt) at room temperature 70 - 80 degrees is best. All forms of honey, including liquid honey, will crystallize naturally over a period of time. The best way to return raw honey to liquid is to place the container in the sun until the crystals dissolve. It can also be placed in a warm pan of water. Raw honey begins to lose some of its natural properties above 140 degrees. For best nutritional value do not heat raw honey in the microwave. We also recommend that you transfer raw honey to a glass container for long term storage. Parents ask your family doctor before feeding RAW HONEY to children under 1 year old. Honey retains moisture to a greater extent than does sugar. Substituting honey for sugar gives a longer shelf life to cakes and cookies. Goods baked with honey remain moist longer than those baked with sugar. One cup of honey contains 1/4 cup of liquid. Deduct 1/4 cup of liquid from the recipe when using 1 cup of honey. One cup of honey is equal to 1 cup of sugar. Honey carmelizes at a low temperature and causes baked products to brown quickly. Use low to moderate oven temperature for baking. Usually bake at 25 degrees less than suggested in the recipe to avoid over browning.